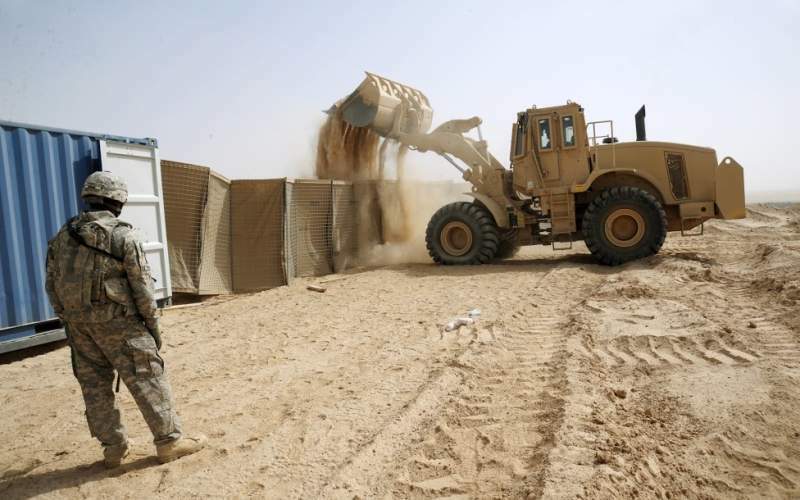 HESCO® earth-filled MIL® units have been used worldwide to create perimeter protection barriers; construct temporary accommodation; mitigate VBIED’s and have now evolved to offer semi-permanent security fence solutions. 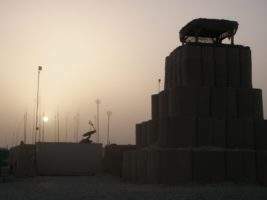 Since the First Gulf War the rapidly deployable wire mesh baskets have been deployed in arduous and remote locations creating simple perimeter walls to complex city-like fortification, defending personnel, equipment and critical assets of the US Army, UK MOD, USMC, USAF and NATO. HESCO® earth-filled MIL® units have been used around the world to create barriers for perimeter protection, construct temporary accommodation, and provide high level security control. 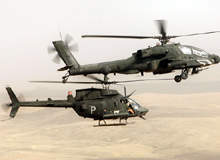 HESCO MIL units have become a prominent component and benchmark within worldwide force protection and have been used by military organisations including the US Army, UK MOD, USMC, USAF, and NATO in every major conflict since the first Gulf war, saving countless lives and mission critical assets. The Concertainer™ MIL unit is a multi-cellular barrier system lined with heavy-duty, non-woven polypropylene geotextile and manufactured from welded Zinc-Aluminium coated steel mesh. The unique design, strength and versatility enable easily-constructed corners, and when joined and filled the system will shape the defensive barrier to the surrounding landscape, creating barriers of exceptional strength and structural integrity. 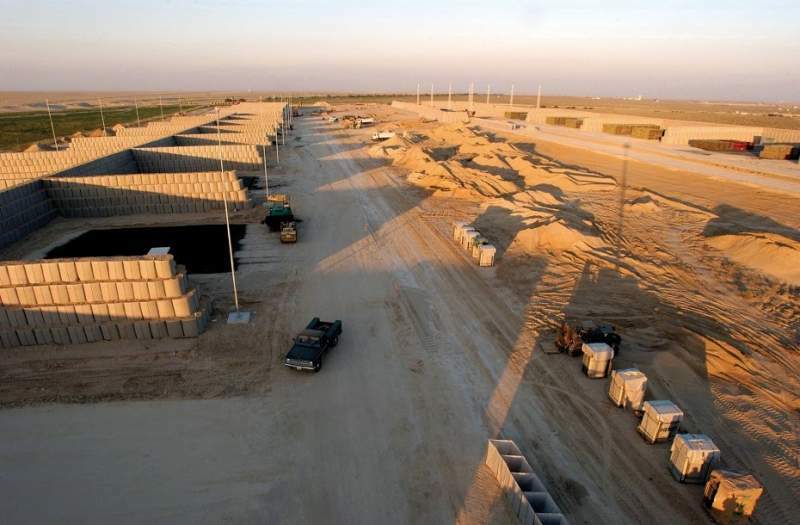 Whether used as a protective barrier or to define boundaries, HESCO MIL units have been employed to safeguard equipment, facilities, vehicles, personnel and critical assets in a variety of operations such as military, peacekeeping, humanitarian and civilian. Recoverable MIL units are engineered to be deployed in exactly the same way as our standard products, however, with the removal of one pin, the fill material will flow freely from the cell and the units can be flat packed for transportation to a disposal site and recovered fully intact. 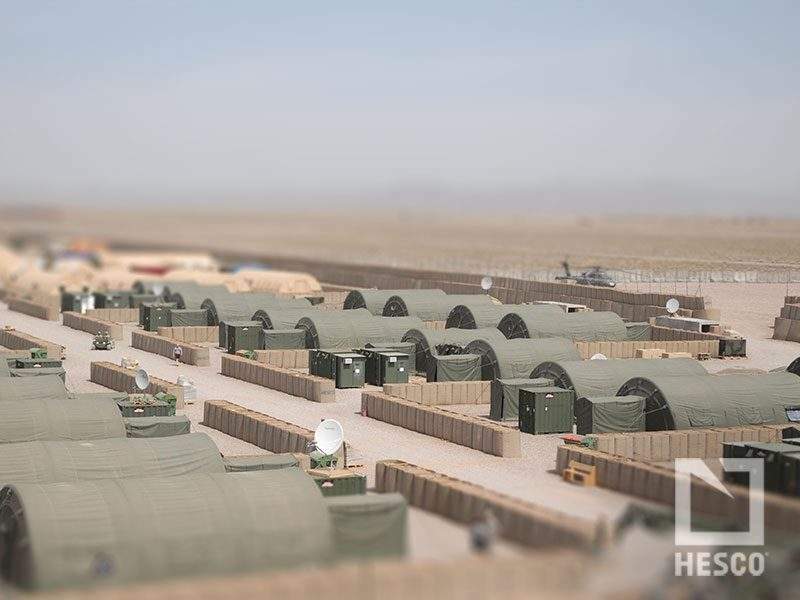 HESCO Accommodation Bunkers (HAB) are specially engineered shelters for personal protection, command stations to in-field medical centres, and overhead protection for ammunition stores. The HAB range of products provide both side and overhead blast and fragmentation protection, and easy to build with minimal manpower and equipment. The shelters will house up to eight personnel providing a safe haven in remote and harsh environments, such as Forward Operating Bases, Company Outposts and remote industrial facilities. The Lightweight Bunker Roof (LWBR) specifically designed to provide protection against indirect fire. The roof can be built on almost any wall capable of taking the load that the roof will impose upon it. 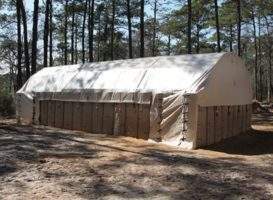 The structure can provide collective protection, for living accommodation, field hospitals, safe houses or overhead cover for ammunition and fuel stores. The HESCO Guard Post kit allows assembly of a small emplacement with two-foot thick walls and 18in (0.48m) of overhead cover. Observation point forms are included in the set as are roof joists and roofing material. The Ground Mounted Sangar and Elevated Sangars are modular units comprising of our earth-filled protective units and alloy components supplied by Brand Energy Infrastructure Services. RAID is a rapid delivery system, designed and engineered for the deployment of HESCO MIL units. 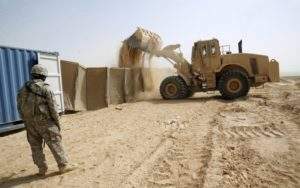 More than 1,000 feet of MIL 7 can be deployed in under 60 seconds, creating curves and corners and shaping a perimeter wall to the surrounding landscape. HESCO security barriers are engineered to provide a rapidly deployed high-level security fence for the protection of critical infrastructure and assets. 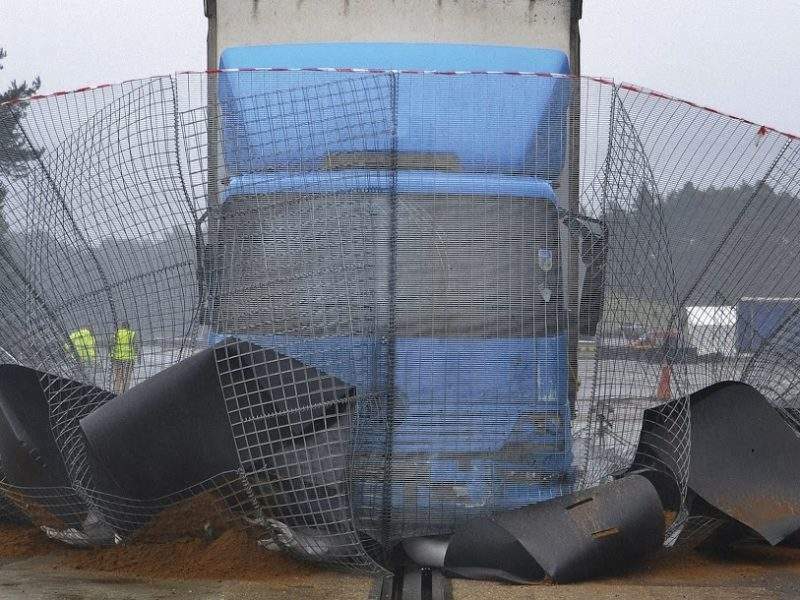 Combining the central concept of the Concertainer system, these fences are ground-mounted and proven to withstand vehicle borne attacks. Each model is ground mounted, can be built on undulating or sloping ground and available in heights up to 5m (16in), creating a formidable barrier. American-made, thinner, lighter and concealable ballistic-resistant body specially engineered to protect law enforcement, military and private security personnel. 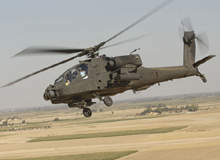 Using next-generation composite materials, combined with Hesco Armor state-of-the-art processing techniques, we give every end-user the capability to take advantage of weight savings with no compromise in operational protection. Hesco welcomes a new partnership with Michael Coates and Declassified, a successful podcast which documents amazing stories from members of the military community. With the threat of 'lone wolf' terror attacks rising, the need for perimeter security is now paramount. We developed a recovery system to cut in-theatre logistical burdens at the end of the mission as a direct result of with the military's ever-increasing commitment to the environment, and costs rising of recovering materials when decommissioning military bases. The standard MIL™ unit is the original HESCO® Concertainer™ product and has become renowned the world over as the ultimate force-protection barrier system. Rapid In-theatre Deployment (RAID) was created in order to cut the logistical burden of supporting force protection missions on expeditionary operations, such as building forward operating and patrol bases. 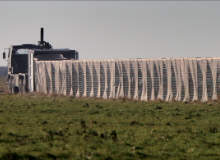 A video demonstrating the MIL RECOVERABLE for rapid removable of defence barriers. A video demonstrating construction of a HESCO MIL Concertainer. A video showcasing the the Rapid In-theatre Deployment (RAID) being deployed. Many urban threats used to be seen, at least in the eyes of the public, as things that happened on other shores. However, an increase in urban attacks of late has put pressure on security services to come up with innovative solutions that allow business to continue as normal and the public to enjoy some peace of mind. 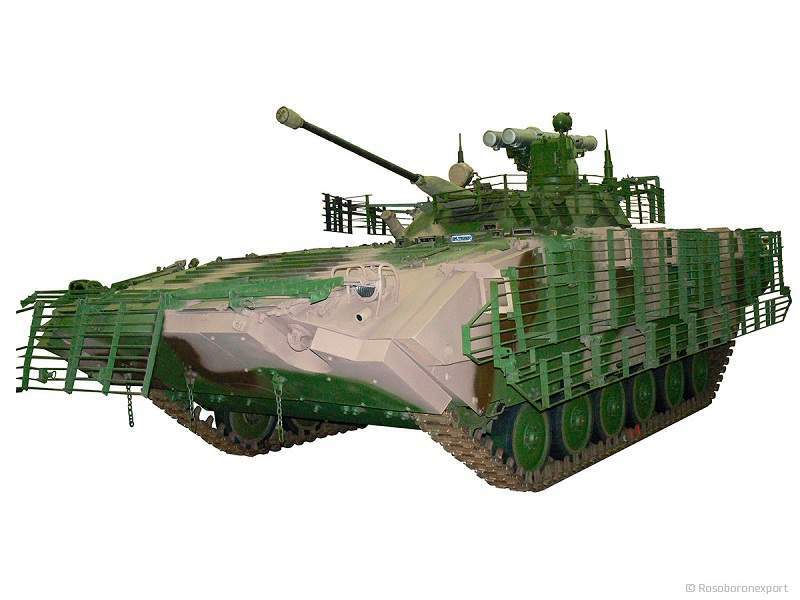 The BMP-2M infantry fighting vehicle (IFV) is an upgraded version of the BMP-2 IFV. Located north-west of Lashkar Gah in the Helmand province, Camp Bastion is a prominent UK military base in Afghanistan. Fort Carson is a US military installation situated in the city of Colorado Springs in the state of Colorado, US. TERRABLOCK is the new security solution by Hesco designed to protect civilian and corporate environments. As we have seen following the hostile events which have occurred this year, vehicle borne attacks have become an increasing threat to public safety. With terrorist incidents evolving in terms of the weapons used and the nature of them, so do the preventative protection measures need to evolve in order to combat these threats. The UK and US manufacturer of defensive barriers and body armour is launching a new range of surface-mounted security barriers, HESCO® TERRABLOCK®. HESCO Group recently entered the Tawazun Economic Agreement / UAE Offset programme and later this year will open their first manufacturing facility within the UAE and, as part of their long-term commitment to the region, will be providing employment opportunities to UAE military veterans. Ballistic-resistant body armour specialist Hesco will launch the next armour evolution stage at this year's SHOT Show, Las Vegas. 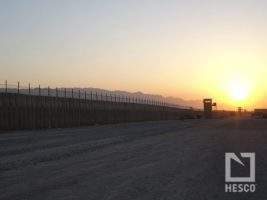 Global perimeter security specialist Betafence has announced the acquisition of Hesco, a leader and innovator in the design and manufacture of rapidly deployable barrier systems. Hesco wins trademark infringement case against Chinese company selling imitation products on its websites. Hesco Armor, Inc has won a share of a $49.5m indefinite delivery / indefinite quantity (IDIQ) body armour contract to supply the next generation of small arms protective inserts (SAPI) to the US Army. The 12th Annual Iowa Homeland Security Conference is being held at the Community Choice Credit Union Convention Center at Veteran's Memorial, at 833 5th St, Des Moines, Iowa, on 20-21 October. Combat Engineer event is taking place in Munich, Germany, from 27-28 October. Hesco Group, a global leader in rapidly deployable perimeter protection, safe haven bunkers and ballistic resistant body armour, announced the launch of a new global brand. HESCO® barriers are used to taking an onslaught from flash floods; storms surge; hurricane winds and ice-filled waters; however the newest addition to the HESCO environmental portfolio faced a new challenge this week at Tees Barrage, UK. Hesco Bastion Ltd carried out a product demonstration and trial of its immediate effective force protection at the National Guard Training facility in Novi Petrivtsi, Kiev last Monday (2 February). 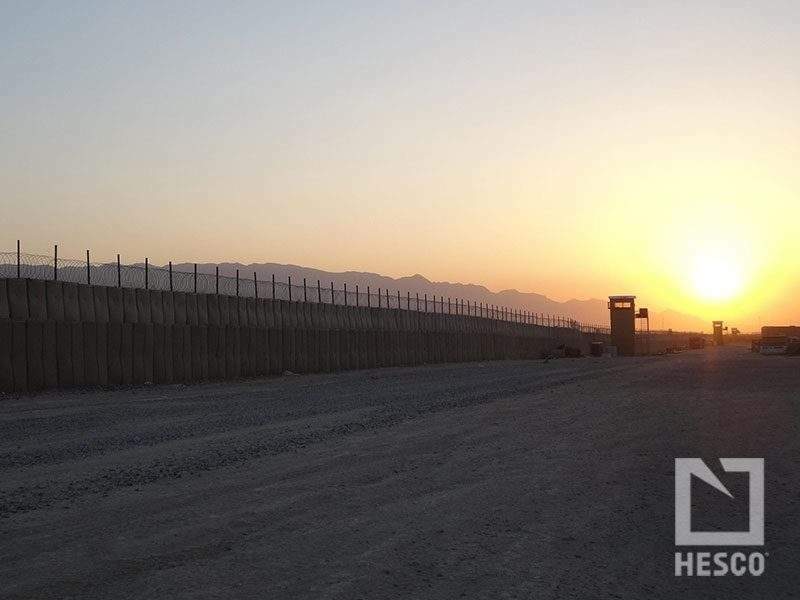 Hesco has been awarded an indefinite delivery, indefinite quantity (IDIQ) contract for force protection expeditionary barrier systems by the US Defense Logistics Troop Support Agency (DLA). HESCO® products have been protecting the brave servicemen and women of the United States military for more than 20 years, and now, Hesco brings that protection to the heroes of law enforcement after Hesco Bastion, Inc. completed the purchase of a controlling interest in Reed Composite Solutions (RCS), a specialist manufacturer of ballistic resistant body armor. HESCO defensive barriers are best known for protecting soldiers from attack during deployment in conflict zones but, throughout the Quad Cities, HESCO barriers have been defending against a different kind of threat; the Mississippi River. 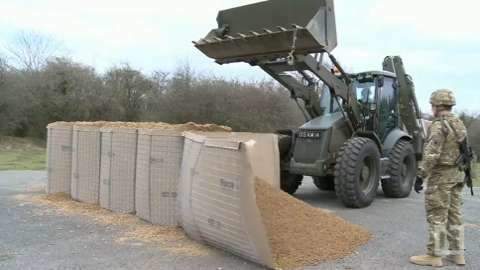 As Johnson County officials issued mandatory evacuation orders for residents in low-lying areas, HESCO flood barriers were deployed along the Mississippi River as part of the flood preparation efforts. HESCO is pleased to announce it will be exhibiting at the Aid and International Development Forum (AIDF), which is taking place on 30-31 January in Thailand. Tropical Storm Isaac is bearing down on the North Coast of the Gulf of Mexico, and Governor Bobby Jindal of Louisiana has declared a state of emergency. HESCO, the world leader in the design and manufacture of rapidly deployable barrier systems, gave a live demonstration in Bangkok, Thailand, at the Ladkrabang Industrial Estate Administrative Building on 1 August to over a hundred guests. Facing the threat of impending tropical storms, officials in Plaquemines, Louisiana, installed thousands of feet of HESCO baskets to fight the expected high tides that would bury a key highway for up to a week, endangering local citizens and shutting down commerce. HESCO, the world-renowned manufacturer of protective barriers, has made two senior appointments to bolster its sales and business development teams. HESCO, the world renowned manufacturer of protective barriers, has unveiled a new logo signifying the continued success in the military, security and environmental markets. HESCO has announced the release of a new white paper available on Army Technology. The 'next generation' of protective barriers, designed by HESCO to meet the civilian and military needs of the future, are being unveiled to the South American market at LAAD 2012. 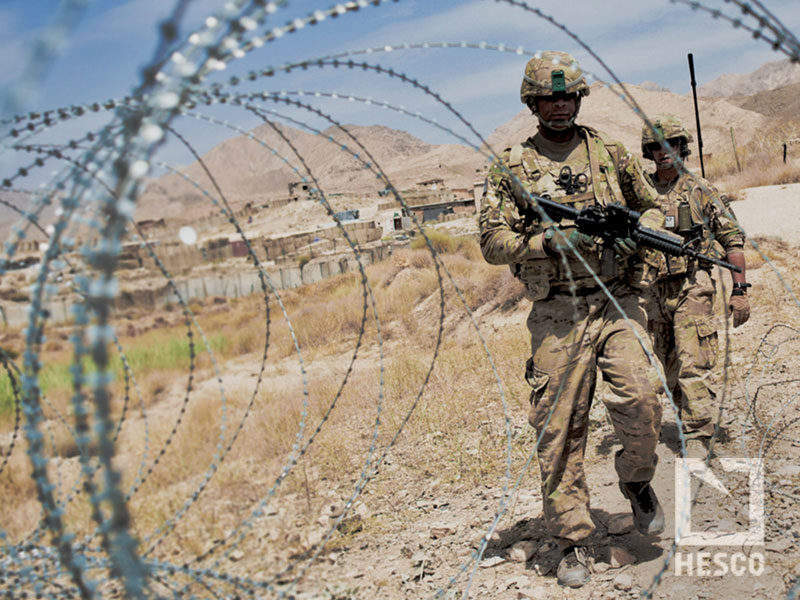 A stunning array of photos capturing the drama of troop deployment in Afghanistan dominated entries to the 2011 annual HESCO photography competition. HESCO, the world-renowned manufacturer of protective barriers, is working with the Association of Natural Disaster Prevention Industry group (ANDPI) on flood prevention projects throughout South East Asia. HESCO is assisting the Thai government to protect some of its key infrastructure from the devastating floods, the company has announced. 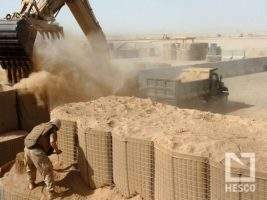 The Concertainer unit from HESCO is already acknowledged as the most significant development in field fortification since WW2 and the company have now developed an all-new, completely recoverable 2012 HESCO Mil range. The Guardian recently profiled a huge UK military base constructed in the Afghanistan desert and home to 30,000 warfighters called Camp Bastion. The sprawling city-like outpost got its name from the huge HESCO Bastion Concertainer units that define and protect its vast 25-miles border.